Product prices and availability are accurate as of 2019-04-19 17:53:29 UTC and are subject to change. Any price and availability information displayed on http://www.amazon.com/ at the time of purchase will apply to the purchase of this product. 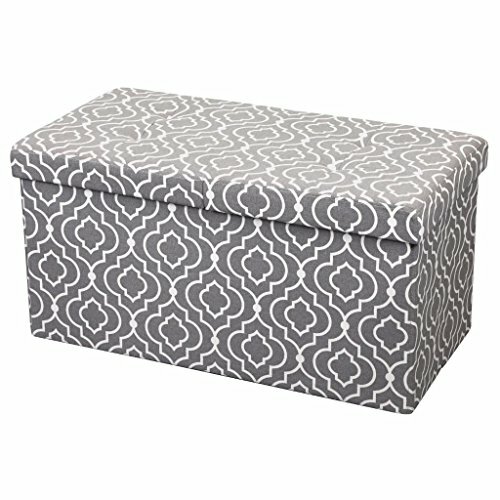 Otto and Ben 30in SMART LIFT TOP Ottoman Storage Bench This mid-century modern, multi-purpose ottoman bench with hidden storage is the perfect accent furniture to delight your home that needs storage as well as decor needs! Padded with premium comfort foam, the cushion top makes it super comfortable for sitting while premium linen fabric adds lush and modern look and feel to your interior. 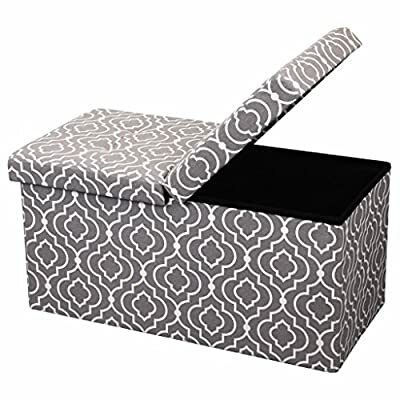 Features: Comfort Foam Padded Top: adds extra seating comfort Quick and Easy Folding: folds in flat and unfolds into a storage form within seconds Smart Lift Top: lid swings open on either side so you don't have to clear the top as it opens. 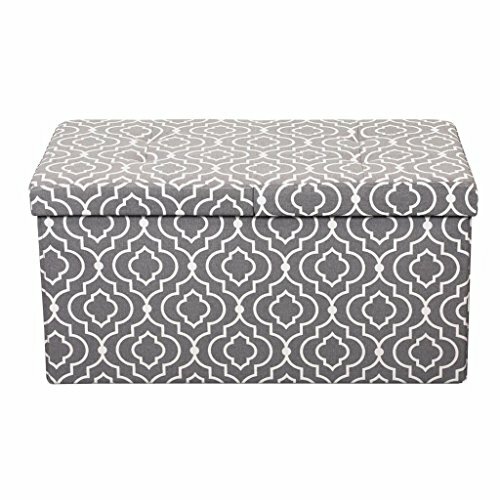 Designs Available: [Moroccan Pattern] Gray, Brown [Octagonal Pattern] Blue, Orange [Floral] Cream Upholstery Material: Premium Linen Construction Material: Medium-Density Fiber Board (MDF) Product Size (inches): ASEEMBLED: 52L x 15W x 17H INNER STORAGE: 50.25L x 13.5W x 5.75H THE PERFECT ACCENT BENCH Charm any space/feature of the house including ENTRYWAY / HALLWAY / LIVING ROOM / BEDROOM / WINDOW LEDGE / VANITY TABLE PERFECT FOR SPACE SAVING! Bedroom, living room, work space, closet, kids play room, you name it! The perfect solution for your organization needs! All those loose items lying around like blankets, cushions, clothes, remotes, books or little toys now have a place to be neatly stored BEDROOM STORAGE BENCH - The SMART LIFT TOP is an absolute charmer! 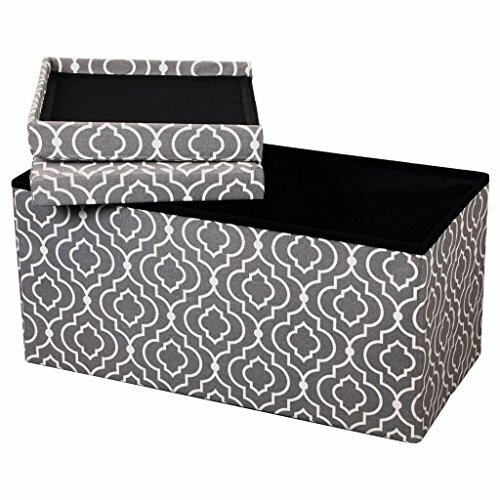 Featuring classic Tuft cushion top that swings open on either side, this storage is the perfect footboard partner to store books, magazines, blankets, extra pillows and other treasures. CARE INSTRUCTIONS Spot clean, air dry. DO NOT use bleach.